Below you fill find all funeral homes and cemeteries in or near Pawleys Island. Suburbs of Pawleys Island: Litchfield, N Litchfield, Pawleys Is, Pawleys Isl. 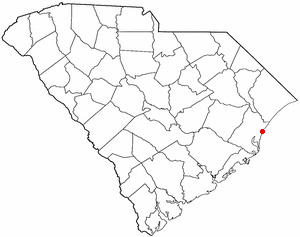 Pawleys Island is also known as: Georgetown County / Pawleys Island town. Zip codes in the city: 29585. Georgetown County funeral flowers can be purchased from one of the local funeral shops we partner with. It was reported on February 10th, 2019 that Donald D Kennedy passed on in Pawleys Island, South Carolina. Kennedy was 92 years old and was born in Batavia, NY. Send flowers to express your sorrow and honor Donald D's life. It was written on December 31st, 2018 that Ada Mae Greene (Goodbar) passed on in Pawleys Island, South Carolina. Ms. Greene was 89 years old and was born in Lexington, VA. Send flowers to express your sorrow and honor Ada Mae's life. It was noted on December 31st, 2018 that Robert Everett Jr Saxton passed on in Pawleys Island, South Carolina. Saxton was 68 years old and was born in Burnwell, WV. Send flowers to share your condolences and honor Robert Everett Jr's life. It was revealed on December 1st, 2018 that John R Jr McCaw passed away in Pawleys Island, South Carolina. McCaw was 82 years old and was born in Pittsburgh, PA. Send flowers to express your sorrow and honor John R Jr's life. It was noted on October 14th, 2018 that John Cipollini passed away in Pawleys Island, South Carolina. Cipollini was 64 years old and was born in New Haven, CT. Send flowers to share your condolences and honor John's life. It was reported on August 16th, 2017 that Jane Moulder (Lyons) perished in Pawleys Island, South Carolina. Ms. Moulder was 95 years old and was born in Kansas City, MO. Send flowers to share your condolences and honor Jane's life. It was disclosed on January 25th, 2017 that Edna Jean Williams (West) died in Pawleys Island, South Carolina. Ms. Williams was 78 years old and was born in Glen Morrison, WV. Send flowers to share your condolences and honor Edna Jean's life. It was noted on January 20th, 2017 that Edna Jean Williams (West) passed away in Pawleys Island, South Carolina. Ms. Williams was 78 years old and was born in Glen Morrison, WV. Send flowers to express your sorrow and honor Edna Jean's life. It was written on June 23rd, 2016 that Margaret A "Peggy" Britt (Cushway) passed away in Pawleys Island, South Carolina. Ms. Britt was 86 years old and was born in Northampton, MA. Send flowers to express your sympathy and honor Margaret A "Peggy"'s life. It was disclosed on January 21st, 2016 that William Samuel Jr "Bill" Sloatman died in Pawleys Island, South Carolina. Sloatman was 97 years old and was born in Germantown, PA. Send flowers to share your condolences and honor William Samuel Jr "Bill"'s life. The inland areas are developing very rapidly; in general the locals dislike the new development very much. Rice plantations occupied the Waccamaw River side of the neck. Bald Cypress sided cottages on the island gave the community one of its monikers: 'arrogantly shabby.' With the coming of Hurricane Hugo in 1989, some of these cottages were swept away and have since been replaced by more upscale homes, but there is a ban on commercial or industrial industry on the island with the exception of a high-rise condominium and a few inns which were grandfathered in. The population was 138 at the 2000 census. The island is connected to the mainland by two bridges, the North Causeway and the South Causeway. The official website for the city of Pawleys Island is https://www.townofpawleysisland.com/. Here are the results for funeral homes in Pawleys Island South Carolina. You can find some of the best funeral homes businesses serving Pawleys Island. Listing all funeral homes in Pawleys Island, South Carolina so you can easily send flowers to any location (same day delivery) or find any funeral service. Find a Funeral Home inPawleys Island, South Carolina SC to provide the caring burial and ceremonial services your family deserves. Griffith, Lois - Golfinch Funeral Service, Pawleys Island, SC : Reviews and maps - Yahoo! Local, 843.237.1336. Get Ratings, Reviews, Photos and more on Yahoo! Local. 1,592 companies & businesses in South Carolina. Search or browse our list of companies in SC by category. We work with local florists and flower shops to offer same day delivery. You will find budget sympathy flowers in Pawleys Island here. Our funeral flowers are cheap in price but not in value.